We are confident that you can find what you are looking for on the website to help you motivate your students/children/charges. We offer the widest range of standard school title badges and can produce special titles for you if you require also. For registered users we offer a useful download section where you can acquire free achievement certificates, information on how badges are made, information on how a school may develop a motivational system to suit their style of school, a list of badge titles that we have tools for, and etc. 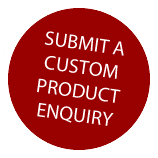 .. like your own school / house badge, or a bespoke trophy then please submit a custom product enquiry. We are a company who specialise in making-to-order. We are very keen to service you as effectively as possible, If you require any help or have any queries, please contact us. If you think we can improve in any way, we would love to hear from you also. Shown here are just a few examples from our range of badges and achievement awards for schools. Many more are available and can be ordered online from this site. Sports badges, Sports Awards and Sports Titles. For example, Athletics Captain, Football Captain, Netball, Swimming and Sports Captain, available as shield badges or bar badges. Activity badges, great for extra curricular activities and NC subjects. For example, Dance, Drama, Music, Art, Choir, Chess, Hockey and Gymnastics badges. School badges and School titles for recognition. For example, Buddy, Council, Peer Mediator, Mentor, Head Boy, Head Girl and Prefect badges, available as shield badges or bar badges. Achievement awards. Achievement awards for Arts, Sciences & Sports, Star badges, Fun badges, Sterling silver badges and Stickers. Trophies, Cups, Medals and shields can all be personalised with engraving. Achiever badges and Merit badges. Custom/Bespoke badges - made to order in any design. For example, School Badges, House Badges, Club badges - for recognition, attendance or achievement. Badges for your incentive schemes and awards. Get students involved and why not run a competition to design your own school badge? Plastic badges, metal badges, metal and enamel badges, or precious metal badges. Lapel Pin Badges & Brooches. Security, ID and Conference badges - for parents evenings, admin, staff, PTA's and school events. These include Namebadges, photo ID badges, Nameholders and Visitors badges. Signs - A comprehensive range of basic name or logo signs. These include Nameplates, Deskplates, Bespoke signs, No smoking signs, Ladies, Gents, Boys and Girls Toilet signs and Disabled signs. Special Items/Promotional products. We can supply Key rings, Key fobs, Necklets, Cufflinks, Trolley tokens, Tie slides, Ties, Embroidered badges, Button badges and Brooch pin badges. Free Design Service - We can produce no obligation artwork and a quotation for you. We continually update our range, responding to the changing requirements of schools. Merit badges have long been used to reward pupils for academic achievements. Schools are extending the range of subjects for which merit badges may be issued into sports, arts, sciences and other activities. Our range of sports badges caters for all sports played in schools, while our custom badges meet requirements which transcend our standard range. Product List: School badges, Sports badges, Activity badges, Achievement badges and awards, Star badges, Custom badges, Bespoke badges, Trophies, Medals, Cups and Shields, Stickers, House badges, Club badges, Plastic badges, Security, ID and Conference badges, Signs, Pin Badges & Brooches, Special items and Promotional Products.